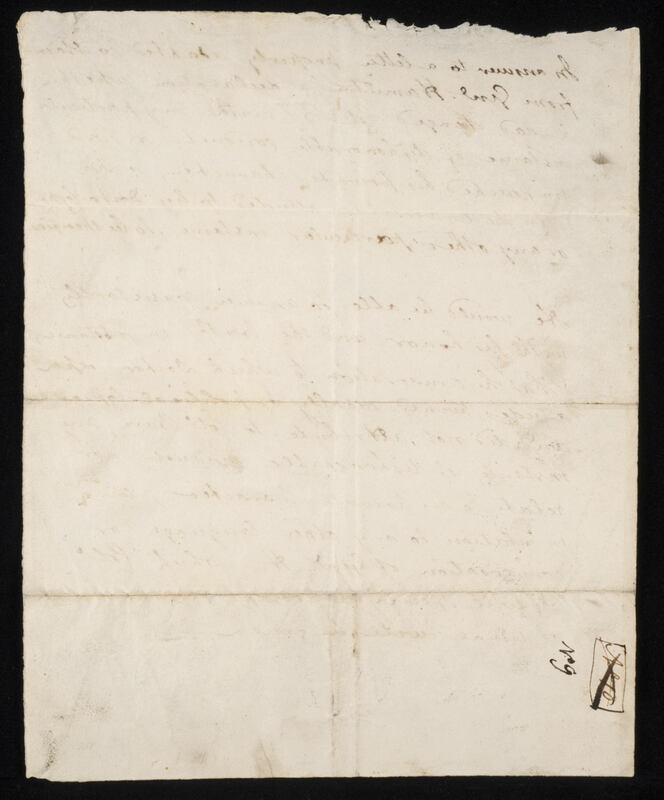 In answer to a letter properly adapted to obtain from General Hamilton a declaration whether he had charged Col. B. with any particular instance of dishonorable conduct or had impeached his private character, either in the conversation alluded to by Doctor Cooper or any other particular instance, to be specified. 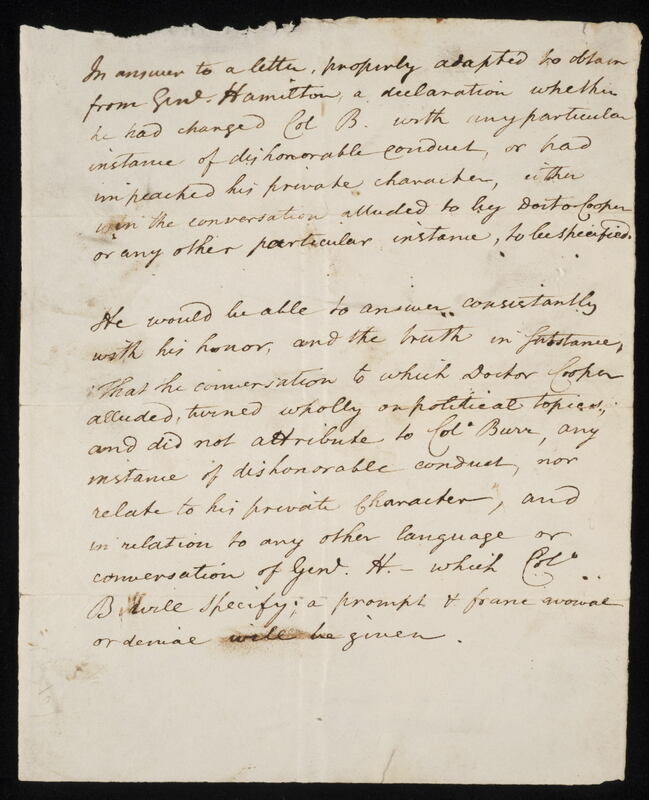 He would be able to answer consistently with his honor and the truth in substance, that the consersation to which Doctor Cooper alluded turned wholly on political topics and did not attribute to Col. Burr any instance of dishonorable conduct nor relate to his private character, and in relation to any other language or conversation of Genl. H., which Col. B. will specify, a prompt & frank avowal or denial will be given.